Tricho Pro Volumizing Protein Spray plumps each hair strand to help provide instantly thicker, fuller hair. An easy to use, de-tangling blow-dry spray that helps protect hair against heat styling. Ideal for fine hair. Use regularly to help strengthen the hair. Helps to reduce hair fall caused by breakage when combing and improve overall hair condition. For optimum results, all 3 steps of the Trichotherapy Regime must be completed daily, in combination with a healthy diet and lifestyle. 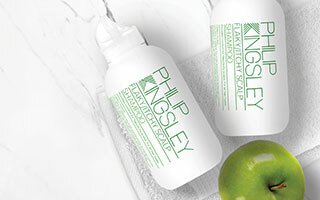 Ideally the hair should be washed and conditioned daily with the appropriate Philip Kingsley shampoo and conditioner. Tricho Pro and Tricho 7 should be applied to clean hair and scalp. We understand it is not always possible to wash hair daily. Therefore, on the days you have not washed your hair, still apply Tricho 7 to the scalp. You may also use Tricho Pro in between washes but if it begins to build up, wait until the next wash. The regime is suitable for use on colour treated hair. Ideal for fine and/or thinning hair, as well as anybody looking to get the best from their hair. 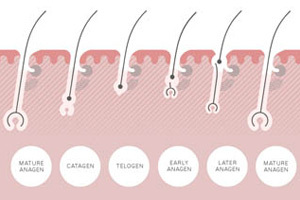 Regular use of Elasticizer treatments will help keep hair in the best condition possible.